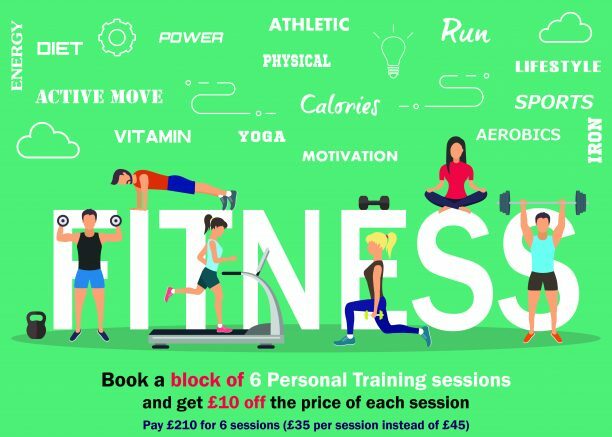 Save £60 when you book a block of 6 Personal Training sessions! Book a block of 6 (1 hour) Personal Training sessions and save £60! We are offering the chance to have a series of 1 hour Personal Training sessions for the special price of £35 per session (instead of £45 per session). Call us on (0117) 330 6820 to book or visit www.keithjamesphysiotherapy.co.uk to book online.